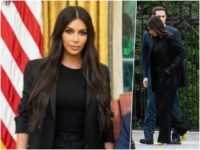 CNN commentator and left-wing activist Van Jones celebrated the passing of the Senate’s version of the justice reform bill this week adding that it is all thanks to Kim Kardashian. 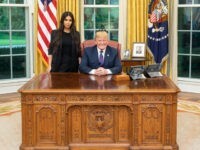 Elle apologized for spreading literal fake news about Kanye West and his wife Kim Kardashian West in a now-deleted tweet Thursday. 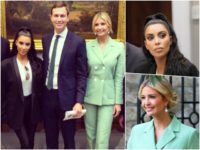 First daughter Ivanka Trump and mogul Kim Kardashian West suited up together at the White House this week for a meeting on prison reform. 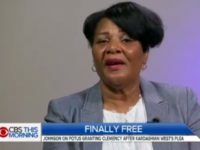 Alice Johnson publicly thanked her “Lord and Savior Jesus Christ” and “President Donald John Trump” Wednesday afternoon, after being released from prison after 22-years. 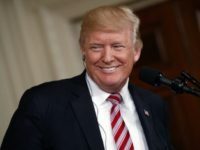 President Donald Trump reacted to news footage of Alice Johnson getting released from prison after he commuted her sentence.